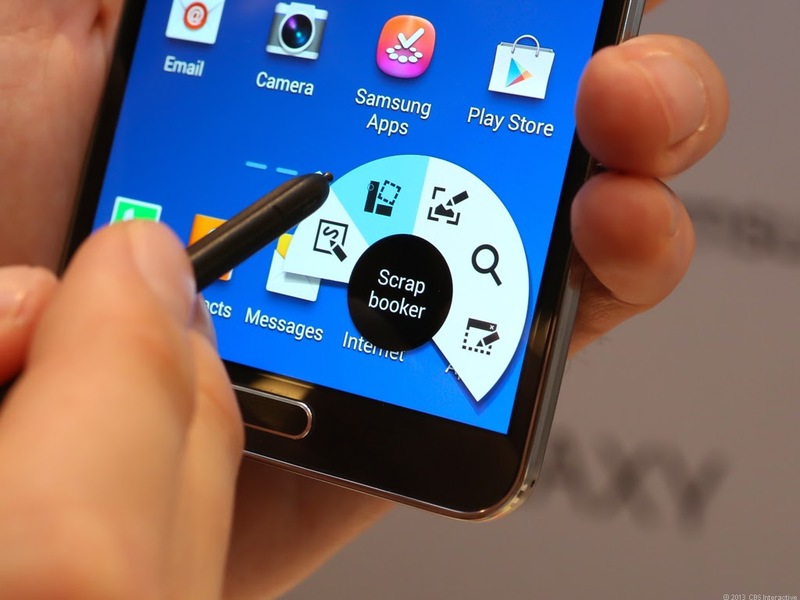 Samsung created a new category when it launched the Galaxy Note. While naysayers were initially critical of its ungainly size, it did manage to attract a large number of consumers who were looking for a device that integrated the big screen of a tablet with the portability and convenience of a smartphone. It even inspired other device makers to launch similar devices, though it's been hard for them to offer a differentiating feature. The Galaxy Note's strength is the S Pen, the intelligent stylus that accompanies the device and allows users to do more than just navigate the user interface and scribble notes. With the Note 3, Samsung claims to take the experience at the next level. The Samsung Galaxy Note 3 retains the same design that gave the Note series of smartphones their own identity. When i first lay my hands on the phone, it reminded me of the original Note. 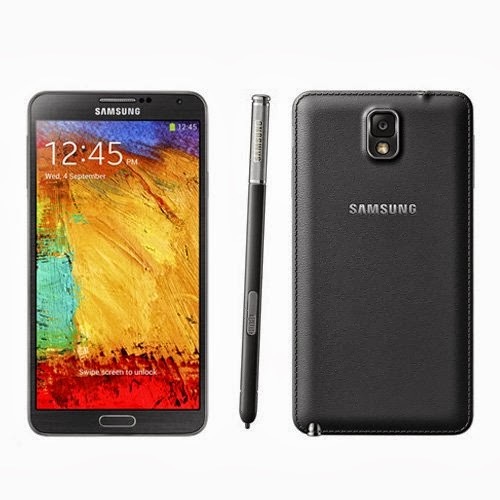 The Note 3 looks much more similar to the first-generation Note than the Note II, which was more curved. First Appearances: Oh yes, the phone is notable, no question about it. It is huge, and while I realize that the size is the whole appeal for some there is no getting around the inconvenience of holding that 5.7 inch electronic mammoth to an ear for making a call. Which is its primary function, after all. This incarnation is actually both thinner and lighter than the Note 2. The phone features a faux leather backing with stitching all around it. It is tacky, but it works, and may even seem elegant from certain vantage points. It is better by leaps and bounds than the plastic looks of the Note 2. The hardware: The Note 3 comes in either 32GB or 64GB.The box comes with some a white set of headphones which work quite well for making and taking calls. The set itself features a very powerful 13 megapixel camera, and a front-facing 2 megapixel camera for chats and self-portraits. It also features several convenience buttons embedded in silver on the device: a volume button, a power button which can also be used to silence the phone, and a home button. The USB 3.0 jack is somewhat disconcerting since at first blush it looks like it is incompatible with a regular micro USB cord. But never fear, a standard micro USB cord will charge the phone, albeit at a lesser speed than the included USB 3.0 cord. Depress the home button twice, and Samsung's Siri junior will be ready to take orders. It is not as sassy or as useful as Siri on the iPhone, but I do not regret the divorce. The battery: This deserves its very own section, as this is one area where this phone truly excels. A cellphone is only as good as its battery. The iPhone 5 was a bitter disappointment . 6 hours of moderate use was enough to drain the battery to the point that charging was necessary. The Note 3 cannot be beaten for battery life on the Sprint network. You only need to charge it after 12 to 15 hours of moderate to heavy use; enough for complete liberation from a charger while at work. This feature is critical as a lawyer must have a device with a powerful enough battery to survive a day spent in court away from the office. The software: Samsung has matured as a software developer. Although many of its software applications and innovations on the phone appear little more than gimmicks, the Note 3 is replete with a profusion of software that a user will doubtlessly appreciate. The camera comes in many clever modes. There's the Knox application which either allows the IT department at any office to isolate office information from personal information, or which just allows the user to deposit media files and such to a secured location that requires a password for access. There's the screen mirroring which allows one to `mirror' anything on the Note 3's screen on a different device like on a computer monitor or flat screen TV. There's the remote control application that permits the user to quickly and easily program the phone to serve as a remote for all electronic devices including the cable box, DVD/Blue Ray Player and TV. The remote application even allows different remotes within the application for different rooms. Flicking a finger from the bottom of the phone upwards presents an amalgamation of news events. Waving a hand over the phone while it is sleeping reveals stats such as the time, missed phone calls, emails and texts; a subtle enhancement. Depressing a tab to the right of the screen produces a menu from which a user can select two seperate apps for simultaneous viewing. Using this feature, for example, one can fire off an email browsing the internet, or watching a youtube video on the same screen at the same time. The tab can be moved to the left of the screen if it proves to obtrusive, or can be gotten rid of all together by pressing the back button. The Stylus: Pulling out the pen activates the `Air Command' feature; a fan shaped menu that presents a variety of options, to wit: Action memo, Scrap booker, Screen Write, S-finder and Pen Window. Action memo had the most potential, but Samsung crippled it by not allowing the flexibility to manipulate notes in any manner. For example, writing down a number and name will allow you to save it contacts. Writing down an email address will allow you to quicky send an email to that address. But I cannot write a quick note, cut and paste it into an email, and fire it off. For that, I would need the 'S Note' application which is a much better option from a practical standpoint, but which is not featured in the Air Command menu. 1) Removable battery, which is not to be taken lightly; it is disheartening to find so many makers towing Apple's line and making batteries that cannot be removed from the phone. This eliminates the option of swopping the battery if it becomes weak or if it is drained during travel. 2) A standard micro USB will charge it. 3) An SD card will increase its capacity. An added advantage (over other phones, but not the iPhone) is its potential use as an international phone. There was a brief scare when it appeared that Samsung had hamstrung the device by only making it usable in the region purchased. For Samsung, this would have been equivalent to purchasing a high caliber pistol, taking careful aim, and shooting itself in the foot. Samsung has since clarified that it only requires that the phone be first activated in the region that it was purchased, and then it would be possible to use SIM cards from other regions. This fact still generates resentment, as it should, since when one purchases a phone, one expects to be able to use it wherever he or she pleases. Another annoyance is that after hitting 'talk' in answering a call, the device still asks whether you will accept the call or send it to voice mail. This unexpected step has caused me to miss a few calls, and I have yet to figure out how to deactivate it. The Galaxy Note 3 features a 13-megapixel rear camera that takes excellent shots in daylight and good artificial light. We found that pictures clicked with the phone had good amount of detail and looked very close to life with accurate colour reproduction. We found pictures shot with the Note 3's camera to be a little better than the ones shot with the Galaxy S4. Low-light shots are an area of weakness. Pictures come out distorted and noisy if it's too dark. Strangely, Samsung has not included a Night Mode setting in the phone's camera app. The phone can't match the low-light performance of the HTC One and the iPhone 5. The Note 3's rear camera is capable of recording 1080p video and performs well. It can also capture Slow motion, Fast motion and Smooth motion videos. It also offers video stabilisation to let you take steady shots. The phone's rear camera performs well in the video capture department. It's worth pointing out that unlike the Snapdragon 800 variant of the Note 3, the Exynos 5 Octa-version sold in India does not offer support for 4K video recording. The Galaxy Note 3 also adds the Galaxy S4's new camera tricks including Cinemagram like Animated photo mode; an Eraser mode to delete moving objects from 5 consecutive photos; Drama shot, which takes multiple photos of a moving object and merges them all to denote action; and Best face, which allows selecting the best face shot in group photos, in addition to the usual Burst mode that takes 20 continuous shots, and HDR mode and Panorama mode. It also allows you to shoot through both the front and rear lenses simultaneously and put a stamp-sized photo of yours in a photo that you're clicking with the rear camera. Final Impressions: The phone handles calls with clarity and is blazingly fast. Until Samsung learns that consumers like both form and function in a device, it will never maximize its full potential. Their devices have been entirely lacking the appeal that would render their devices the iconic artifacts that iPhones are. The Note 3 is close to being an exception to the rule; as garish as its fake leather might seem, it is still the best looking of their devices. My main gripe is the sheer size of the phone. Most would appreciate a more manageable form factor, narrower in width and perhaps shorter in length. Overall the Note has matured into a flagship phone, able to take in corporate and personal life with equal alacrity. Its powerful and removable battery will make it a favorite choice of intrepid travelers, and its huge screen allows it to bridge a gap previously unnoticed between phones and tablets.